The Blot Says...: Kidrobot’s SDCC 2017 Exclusives Revealed! Kidrobot’s SDCC 2017 Exclusives Revealed! 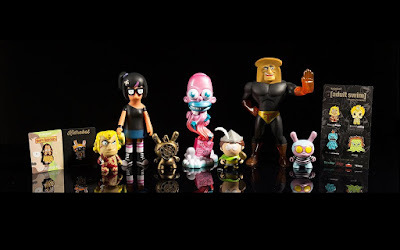 Kidrobot has unveiled a killer line-up of San Diego Comic-Con 2017 exclusives, and The Blot is beyond thrilled to see not one but two SDCC exclusive Dunnys! It’s been a while since KR released a San Diego Comic-Con exclusive artist edition Dunny, and they couldn’t have picked a better design than the Gold Edition Wheel of Fortune 3” Dunny by J*RYU! 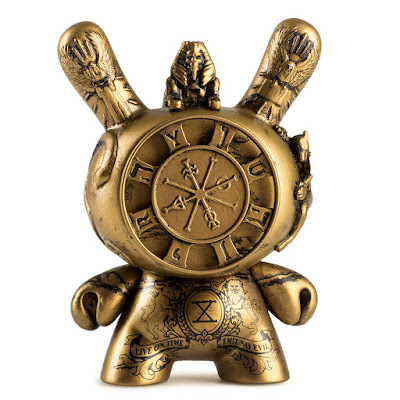 This variant of one of J*RYU’s figures in the recently released Arcane Divination Dunny Series and will retail for just $14.99. 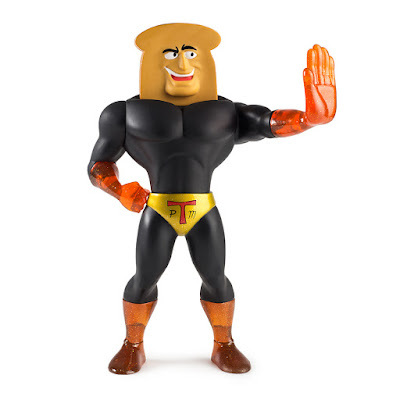 Also being released at San Diego Comic-Con 2017 are these limited edition vinyl figure exclusives: Space Fruit Edition Andy Warhol 3” Dunny ($14.99); Bob’s Burgers’ Badder Edition Tina vinyl figure ($59.99); Ren and Stimpy’s Powdered Toast Man ($49.99); South Park’s The Bard 3” mini figure ($11.99); The Venture Bros.’ Bloody Edition Brock 3” Mini Figure ($11.99); and The Simpsons Pink Edition Mr. Sparkle vinyl figure (which was previously released at Five Points Festival). There’s also three enamel pin exclusives: Dunny Pin ($6.99); Adult Swim Pin 4 Pack ($19.99); and Bobs Burgers Beefsquatch Pin ($6.99). All of these exclusives are now available for pre-order at Kidrobot’s online store for pick up exclusively at KR’s SDCC booth next month.